Surge protection is probably one of those things you rarely think about — until it’s too late. Without reliable commercial surge protection products, your company’s computers, printers, lighting and other mission-critical electrical equipment and devices may be vulnerable to an unexpected power spike. This could knock these essential systems offline for several hours or longer — and bring your entire business operation to a standstill. Whether you’re a general contractor looking for a reliable electrical specialty contractor or a small-business owner seeking to safeguard your building and assets, Tuckey Mechanical Services, Inc. will provide an advanced commercial surge protection solution that meets your needs. 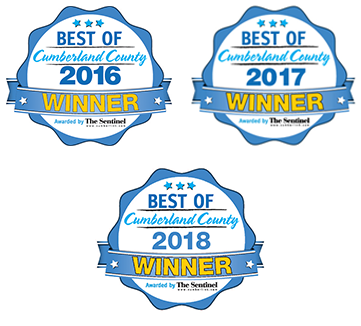 We’re part of the Tuckey family of companies that has been providing superior commercial and residential contracting services in Harrisburg, PA, Carlisle, PA and throughout the South Central PA region since 1968 — that’s experience you can trust. What Does Surge Protection Do? Commercial surge power protection acts as a type of “gatekeeper” for your building’s electrical system. We will install high-quality surge protection devices at your main electrical panel or other appropriate, centralized locations that will prevent an increase in the electrical current from reaching and possibly damaging your electrical and electronic equipment. When a sudden voltage spike occurs, it is automatically diverted to the grounding wire inside the protector, before it can travel to the device. Without the diversion, the power spike could disable, or even permanently damage your equipment. Contrary to popular belief, most power surges are not the result of lightning strikes during a thunderstorm. 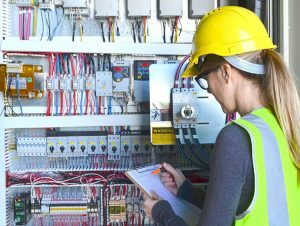 A more common cause is the simultaneous use of today’s high-tech electronic and electrical devices that can impede the steady flow of voltage throughout a facility. For example, if you notice a dimming of a nearby light when your large office printer begins to operate, it could be a sign that you need commercial surge power protection. 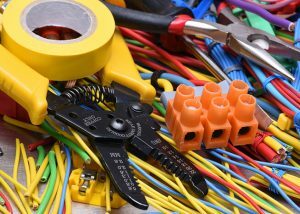 Commercial Surge Protection: Not a DIY Installation Project! As with just about any project that requires working with electricity, attempting to install a surge protector yourself is not recommended. There’s always the risk of causing significant damage to your expensive electronic equipment, as well as the potential for electrocution. Tuckey Mechanical Services will professionally install a commercial-grade surge protection system taking all appropriate safety precautions. Don’t take chances with something as critical to the function of your business as your electronic equipment. Contact the pros at Tuckey Mechanical Services to learn more about the benefits of installing a whole-office commercial surge protection system in your Harrisburg, PA or Carlisle, PA-area facility. We’ll be happy to provide a no-obligation estimate for your project. "Thanks for your help---as always everyone does an excellent job from beginning to end. Rob is fantastic with the way he is so professional and yet very friendly. Tammy getting things set up for us is unbelievable. Thanks again."